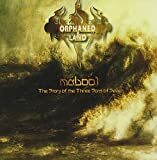 ORPHANED LAND THE STORM STILL RAGES INSIDE LYRICS"
Unto a dry land, Amen. All Orphaned Land - The Storm Still Rages Inside lyrics are property and © copyright of their respective owners. All The Storm Still Rages Inside lyrics provided for educational purposes only.